How we LOVE our Dogs! Easy to make and perfect to treat your furry friend. Best of all, you know what is in the treat you are giving your dogs. The biggest trick is to leave these dog treats in a low temp oven until they are crisp and hard. Printed recipe is at the end of this post. Mix it all together, roll out and cut into desired shapes. Bake at 375 degrees F for 10 minutes, then turn the oven off and let the biscuits stay in the warm oven until they are hard and crispy. Overnight on 140 degrees does a great job of this! Lesson learned: Don’t nip dough. My American Friends: Are you ready for the 4th of July? There is still time to check out Hush Puppy Dog Calming Formula and get it in your home before the big fireworks displays come to town. T here is nothing quite like the aroma of freshly baked bread, unless it’s eating freshly baked bread. This loaf can be made in just under 2 hours and is easy and really delicious. The only problem I have with this loaf is that it does not last very long. It gets gobbled up super fast. Using a dough hook, mix the dry ingredients on low speed. Slowly add the wet ingredients, mix until it is all combined. Set the timer and knead on medium speed for 10 full minutes. The dough will look wet and sticky. It is and that is the way it is supposed to be. A wet dough will give you the bigger holes Ciabatta is known for. Resist the temptation to add more flour! At 10 minutes kneading time, the dough will be perfect. In the meantime, prepare a sheet pan with parchment paper (or Silpat sheet), lightly dust with cornmeal and set aside until needed. Generously flour a surface to put the dough on after 15 minutes. Plop the entire dough mass onto the flour and dust the entire surface with flour so your hands don’t stick to the dough. Press the dough into a rectangle, fold into thirds, and then repeat. Do not knead the dough, just lightly pat it into place. Pat, pat, pat, just lightly. Shape the dough into a rectangle and place onto the baking sheet. Loosely cover and let rise for 45 minutes. While the bread is rising outside the oven, preheat the inside of the oven to 425° F.
After the bread has risen for 45 minutes, spritz with water and place it into the oven. The water will help give the bread a crisp crust. Bake for 30 minutes. Remove from the oven and allow the bread to cool completely before slicing. Shelf life: 3-5 days or until gone, typically the same day it’s made. Healthy & Hydrated Is #1! My New Book Healthy & Hydrated Is Number 1 on Amazon in my category! Thank you to everyone who downloaded my book so far! Healthy & Hydrated – The Key to Vibrant Living is being launched today on Amazon. 75% of the population is dehydrated and I want to do something about it. I’m starting a conversation, a campaign to turn that statistic around. Today is the launch of my book that discusses your body’s need for water, how it uses water and gives delicious suggestions for how to hydrate easily. Learn the simple formula. Understand why your body needs water. Get rid of those mild nagging headaches. Feel good in your skin! The body will pull water from all areas to protect five major organs. Do you know what they are? Download Healthy & Hydrated – The Key to Vibrant Living Free to your kindle today, Tuesday, 7/26/16 through Thursday, midnight PST, 7/28/16. Available in most countries worldwide; wherever you get Amazon! Get your FREE Kindle copy of Healthy & Hydrated – The Key to Vibrant Living for a limited time. Did you know that 75% of the general population is chronically dehydrated? Perhaps you are one of the 3 in 4 that need to increase the water you drink. Do you have an afternoon energy slump? Do you suffer from mild headaches? Do you suffer from constipation and slow digestion? Healthy & Hydrated addresses these issues and gives you easy, delicious ways to solve them. On Tuesday, July 26, 2016 I’m having a Book Launch where you can grab a copy of the Kindle book for free. You can get your copy on Amazon. It is sold internationally so those in Australia and the UK and Canada can get your copy too. Copy and paste: http://bit.ly/HealthyandHydratedKindle will take you to the Kindle version that will be FREE on Tuesday, July 26, 2016 starting at 6AM EST thru midnight PST Thursday, July 28, 2016. After July 28, when the launch is over, the Kindle version will be $4.99 USD. Be A Book Launch Partner! On Tuesday, July 26, at 6 AM is the official launch of my new book Healthy & Hydrated – The Key to Vibrant Living! I am excited as I write this; I can hardly believe it is happening. So I am reaching out to you today to ask for help in reaching my goal of making Healthy & Hydrated an Amazon Best Seller. It may or may not make it but I’m sure going to try and I’m asking you to help! How? You can help by being a Healthy & Hydrated Launch Partner. The time involved on your part is minimal. All you have to do is post the announcement about the launch of Healthy & Hydrated in your social media and or send an email to your list, family and friends and ask them to download a free copy of Healthy & Hydrated. I’ll provide all the materials you will need to just copy and paste e mails or social media. There are beautiful graphics to share on social media or your blog if you write one; you don’t have to create a thing, unless you want to. Here’s the best thing, the Kindle version will be FREE from 6 AM Tuesday July 26 through midnight Thursday, July 28. While the Kindle version is FREE, tell everyone you know about the book so they can get a free copy too. Please help reaching a goal of Healthy & Hydrated being an Amazon Best Seller! I can’t do it without your help so I am hoping you will join me in this book launch. Let’s put the power of the internet to work. After the launch, the kindle version will be available for sale on Amazon at $4.99 USD for a limited time. The final price will increase to $9.99 USD in a few weeks. If you leave your street address (USA only), I’ll be able to send you a thank you gift as a token of my gratitude for your help.Your street address is not necessary to complete the form. 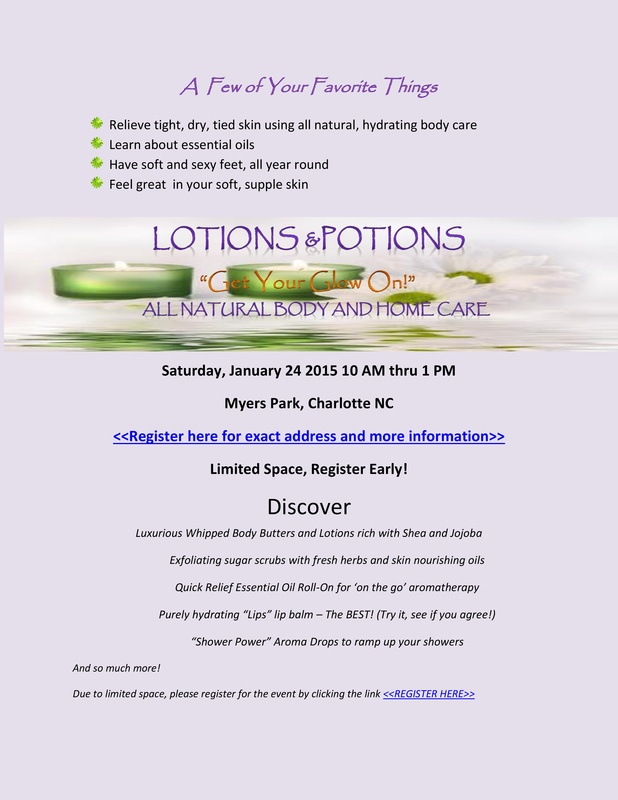 Then watch your email for your Healthy & Hydrated Launch Partner Resource Page! Thank you; I am so grateful for all of your help. This is a re-post of an article from last year that is appropriate for us now. Here in the South, winter has lifted, trees are blooming and we are waiting for a full pollen dump any second. Temperatures are warm in the day, cool at night which makes it perfect for wild violets to bloom. 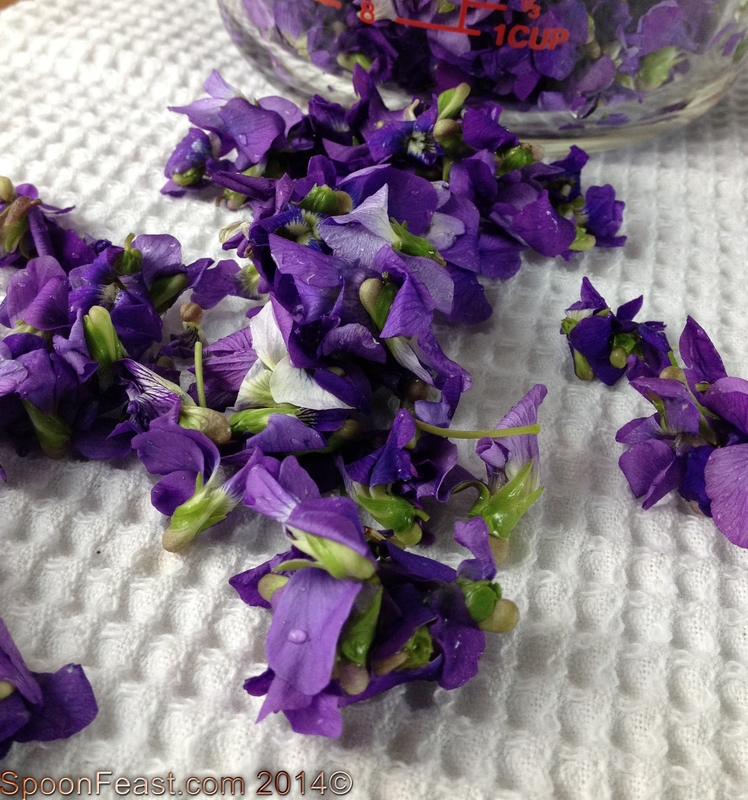 Picking wild violets is a great reason to be outside; be sure to bring a small bag to carry your treasures in. 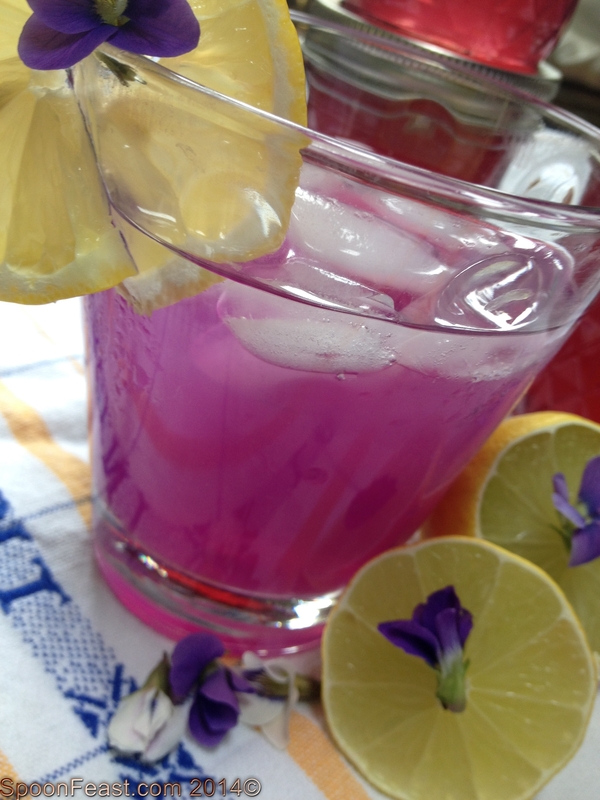 Before the violets go away, be sure to try this lovely Wild Violet Lemonade! I was browsing blogs a coupe of weeks ago and found the amazing recipe for Wild Violet Jelly and decided I needed to go on a wild violet hunt. The violets had to be picked well away from the road and not where dogs do their duties. I found a lovely spot with so many violets I picked an entire quart of them in no time at all. I can’t help but to fall in love with this color! 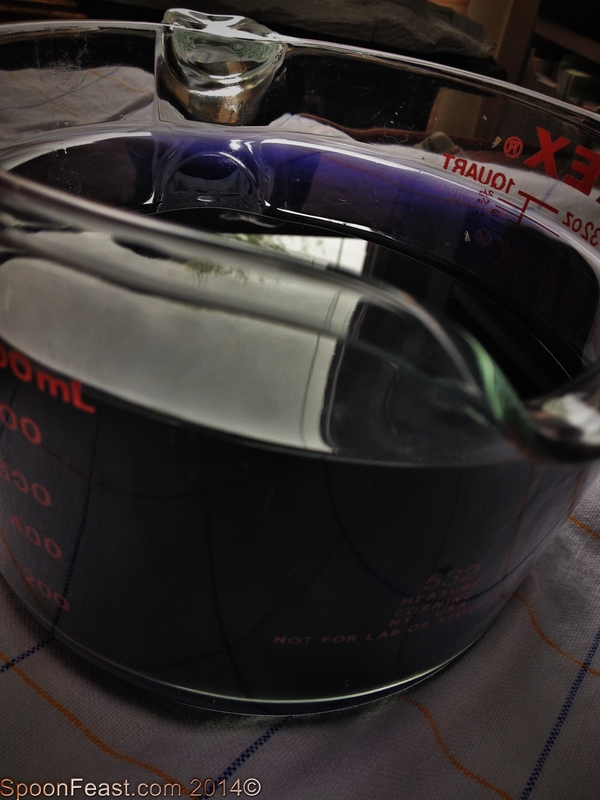 So, to prepare for the wild violet jelly, the flowers need to be rinsed and steeped like tea. Use the same amount of water as you have violets. Measure by volume, not by weight because violets hardly weigh anything at all. 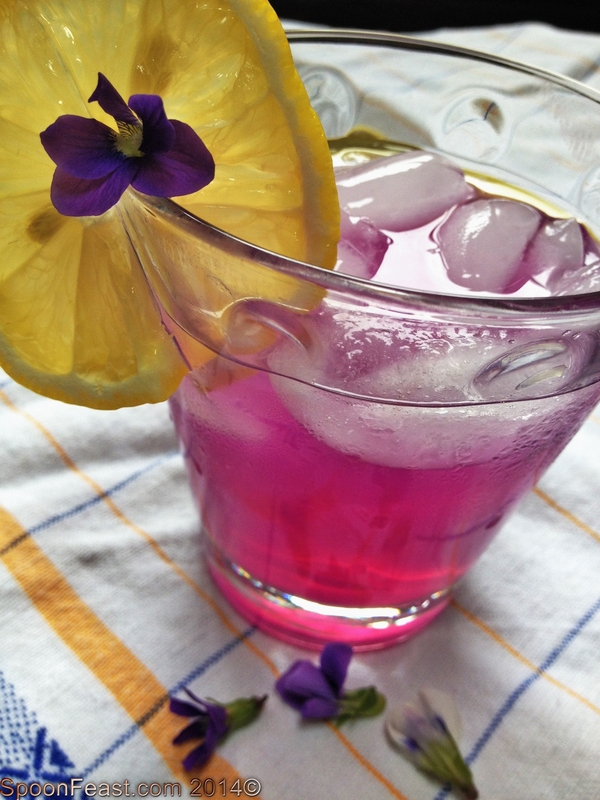 I had a bit left over tea from the jelly recipe and I wondered how it would taste as a “lemonade” so I popped some ice in a glass, filled it about 1/4 full of lemonade and added the strained violet tea, garnished with a slice of lemon and Wow! It makes a fantastic drink! Now, I’ve got to go harvest more violets so I can freeze the tea for later use. Steeped Wild Violet Tea; see how deep purple it is? Add lemon juice and it changes to bright pink. Don’t you just LOVE the color? 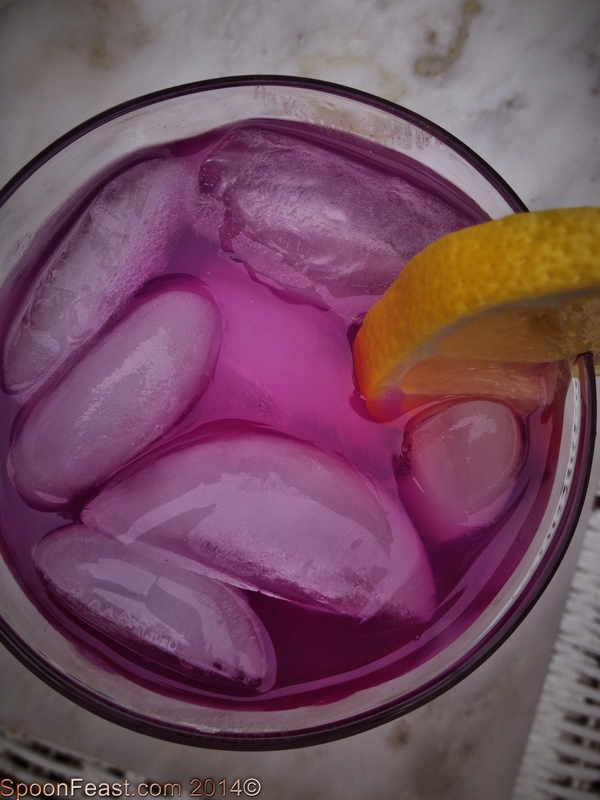 It changes from deep royal purple to a bright pink when you add lemon juice. 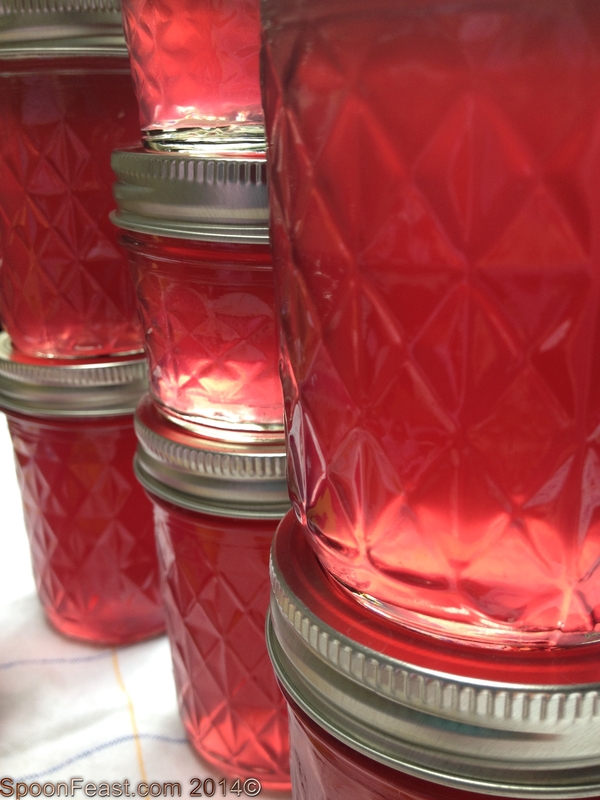 If you want to know how to make Wild Violet Jelly, Follow this link to Prairieland Herbs.